Refurbished phone systems, which still offer the latest functionality, can be a wise investment, especially for small or recently started businesses. A number of larger corporations also prefer investment in these old-phones-made-new for their smaller branches. Analog phones, also known as Plain Old Telephone Systems (POTs) are inexpensive new. But the limited functionality paired with new digital services (VoIP) leaves this option off the table for many businesses. Digital phone receivers and conference systems when compared to analog systems can cause sticker shock. Incorporating a majority of the functionality in latest models, refurbished digital phone receivers, conference systems, and more are available at a fraction of the cost. When you definitely need an efficient business phone system, but find it difficult to divert investment for the purpose, c2mtech has an extensive inventory and selection of refurbished digital phones to serve your needs. 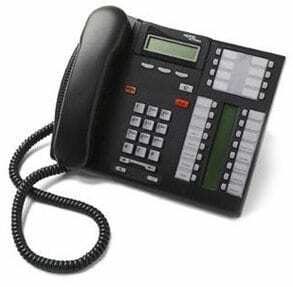 Refurbished phone systems are older telephone equipment with several more years of useful life, accepted by us. We only accept gently used equipment, often from clients who replace old equipment with the most recent models available. c2mtech’s service technicians inspect, upgrade and certify each piece of used equipment before we deliver and install the fully functional refurbished phone system. At c2mtech, we’ve been in the phone business for 39 years and have expert methods to reduce telephone expenses with new phone systems or refurbished from leading brands.